This time of year, in this year especially, there is a lot of buzz and fear over viruses. Ebola and Enterovirus D68 have been particularly newsworthy due to some tragic losses and some miraculous recoveries. I am not going to write about the politics or statistics of these viruses here, however, I would like to try to answer these questions: What is a virus anyway? How can we educate our children accurately without scaring them? We can trace our discovery of viruses back to 1898 when it was found that the cause of foot and mouth disease in lifestock was something even smaller than bacteria. Although we did not have a clear indication of what that meant yet, it was the first evidence that illness could be caused by something else. Viruses, although unwanted in many cases, are truly brilliant. Outside of a host they are enclosed in a membrane, protein coat or capsid that encases the DNA and RNA that codes for their particular strain of virus. They depend on a host to reproduce, so once they have traveled through some vector (air, water, bodily fluids) they reach the cells of the host. Once in the host cell the virus inserts its DNA into the cell, which essentially takes over the cell and the virus uses the cell's abilities for itself. 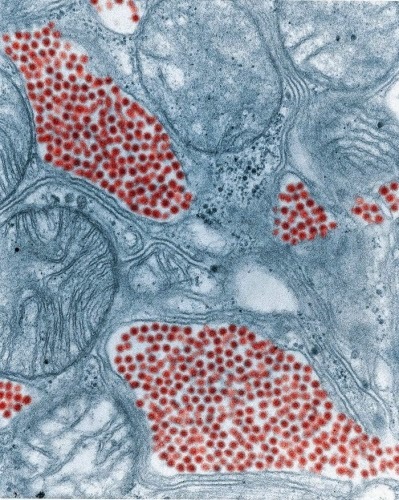 The cell begins to produce more of the virus rather than complete its normal tasks. Eventually, the viral material bursts from the cell and continues to find new cells to infect. Viral diseases come in many forms and use many vectors to travel. Ebola is an example of a virus that is not airborne, it travels through contact with bodily fluids. Enterovirus D68 on the other hand is one that is spread through the air when someone sneezes or coughs. There are thousands of viruses ranging from the common cold, to chicken pox, to AIDS. So how do we teach about viruses? In general, I believe that if kids learn about good hygiene, what a virus is, how their body fights disease and how grown-ups are working hard to keep them healthy, then we have done our job. It also doesn't hurt to keep exposure to the news media at a minimum since kids interpret what they hear in many different ways. 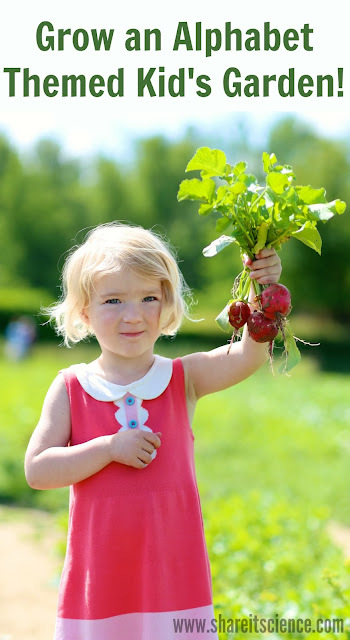 There are many good resources to teach kids about health and their body. One of my favorites to use with my students is www.kidshealth.org. There are many interactives, articles and videos here to help understand their body and health. They also keep up to date with current health issues and write about them in an accurate and age appropriate way, such as this recent article on Ebola. Another good resource is NSF International's "Scrub Club" website. This site is full of cartoons, games and other fun resources to teach about germs and sanitation. Excellent resources for older students and adults are: The Encyclopedia of Life, The Big Picture Book of Viruses and Cells Alive! There have also been several interesting blog posts by Travis Good about innovations to help reign in Ebola in a series entitled: "Makers Against Ebola". This is part of a larger design challenge called "Fighting Ebola: A Grand Challenge for Development" by Open IDEO, which is a community for designers and makers for social good. 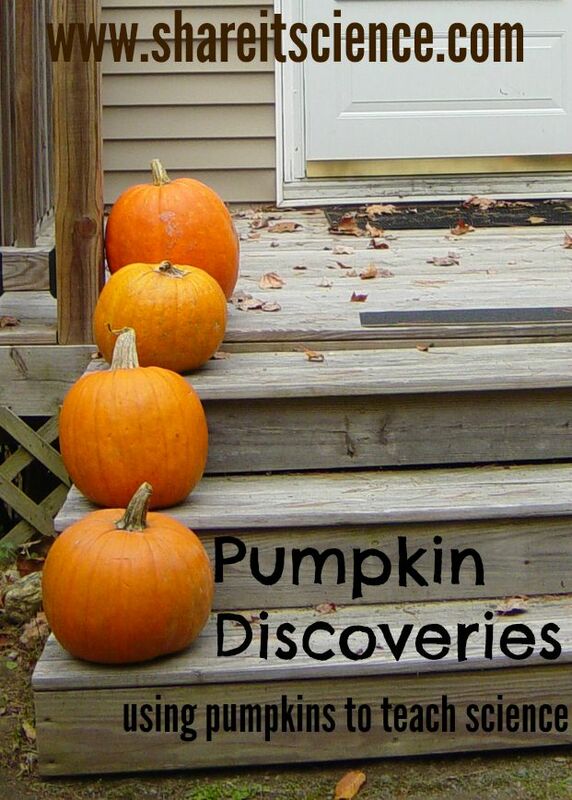 Sounds like a great prompt for some innovation or engineering projects at school or home! How do you teach your kids or students about health and viruses? If you know of a great resource please add it in the comment section! The Encyclopedia of Life: What is a Virus? Makezine: Travis Good blog posts on "Makers Against Ebola" design ideas. is a 5th grader who is benefiting from the work done by Robohand. She was born with amniotic band syndrome which led the congenital deformity of an under-developed hand. As a growing girl, Anastasia would outgrow other more costly prosthetics (upwards of $60,000) quickly, and up until this point cost prevented her from having one. With Robohand, Ty Esham, a hand therapist, helped create most of the components for Anastasia's new hand on a Makerbot Replicator 2 3-D printer for a finished product that was $2,000, only a fraction of the cost of other prosthetics. Sydney Kendall is a teenager who lost her right arm below the elbow in an accident when she was 6. She benefits from a prosthetic arm built by engineering students at Washington University in St. Louis and Shriners Hospital. Her device only cost $200 and she got to watch it being built! Prosthetics are not the only area where 3-D printing can make a big difference in medicine. Doctors are developing methods to harvest cells from patient's bodies to then use to "print" the scaffold for new organs. With the ability to customize organs for transplant they will potentially avoid issues such as a patient's body rejecting foreign tissue, and the ability to build child-sized organs rather than having to use adult organs in children, and much, much more. This technology truly could revolutionize medicine. Clearly there are many practical uses for 3-D printing, and with printers available more widely it makes sense to incorporate them into STEM (Science, Technology, Engineering and Mathematics) programming in our schools. In the past year there have been many opportunities for schools and teachers to apply for funding or find a deal on a 3-D printer. 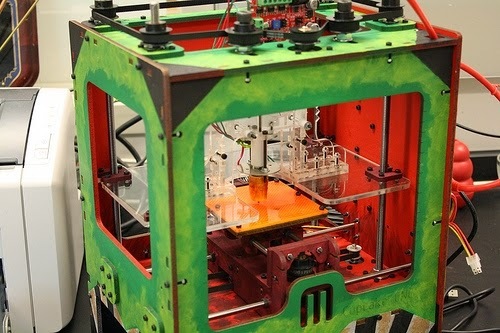 Makerbot Academy has teamed up with Donorschoose.org to try to get a 3-D printer into every public school. Grant-writing support for 3-D printer funding is available from Stratasys. Universities like Carnegie Melon and LeHigh have benefited from a $3 million grant from 3-D Systems, "America Makes" and the Commonwealth of Pennsylvania. Early in 2014 an incredible program was launched by Autodesk with the help of Makerbot and Donorschoose.org to offer teachers Makerbot printers for $98! The funding it certainly out there for opportunities to set up maker's spaces in schools. 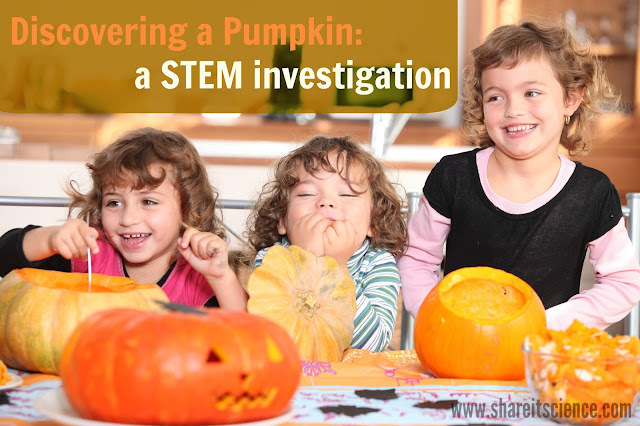 This is an inspiring and exciting time for getting kids involved in engineering! 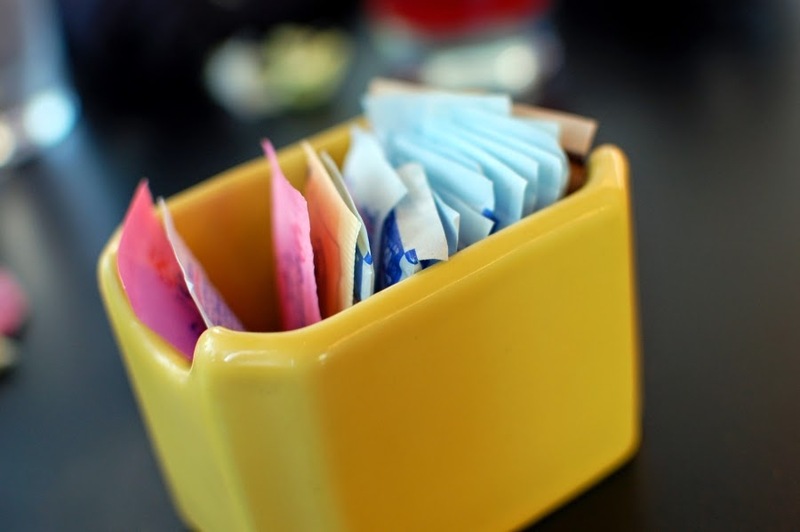 A recent study shows that consuming artificial sweeteners (saccharin, aspartame and sucralose) may cause us some serious health problems by interfering with the beneficial microbes in our guts. Our bodies are covered inside and out with micro flora- from our skin, to our eyelids, to our intestines. Although thinking about this may make some squirmy we are better off with them, than without. Scientists in the artificial sweetener study found that after an 11 week diet of artificial sweeteners, mice had very high levels of glucose circulating in their bodies after meals. Mice who consumed glucose sugar water did not exhibit this problem. This indicated that the artificial sugar was interfering with the way the body processes glucose. Humans with issues processing glucose can develop diabetes or obesity. They found that the reason this was happening was because the artificial sugar was altering the microbiota, bacteria and microbes, in the guts of the mice in a way that prevented the digestive system to work properly. When a similar test was run on human subjects they began to see the same results in only a week. This is a big deal because the reason many people consume artificial sweeteners is to lose weight or to lower their sugar intake. Consuming the artificial sweeteners could have the reverse affect, and possible contribute to the onset of type 2 diabetes. Caring for our micro flora probably is not something that many of us think about on a daily basis. However, the more diverse the good bacteria and microbes are in our guts, the better our health is. Many foods are suggested to benefit your microscopic gut friends. Organicgardening.com suggests 7 foods to improve the diversity and productivity of your gut micro flora. A quick google search will give you many hits with similar lists. The recommendations are mostly fermented foods, such as kefir, kimchi, real sauerkraut and yogurt or items you may find in a probiotic diet. 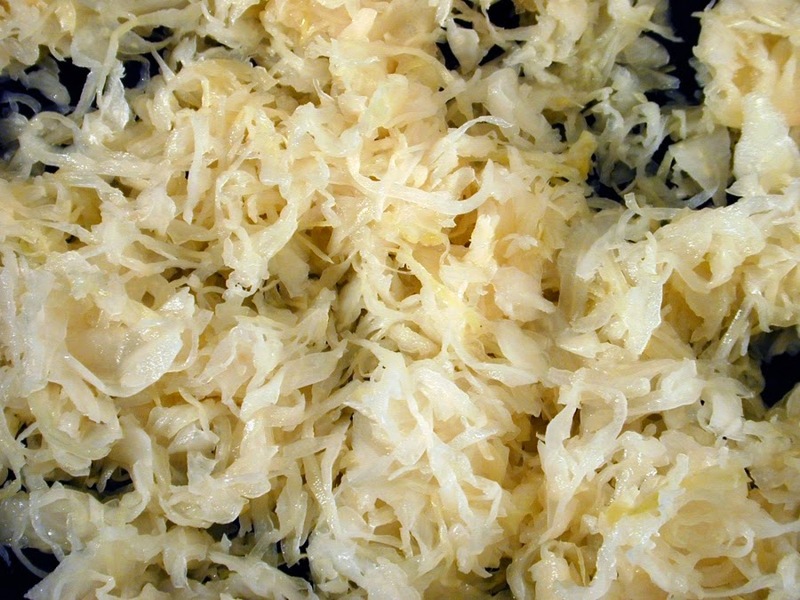 Sauerkraut- Great for your gut?! Humans were able to keep themselves alive using natural foods and fermentation long before we were cooking up artificial sweeteners in labs. If you are interested in learning more about fermented foods I would suggest, as I have in another post, to read Michael Pollan's latest book Cooked: A Natural History of Transformation which devotes an entire section to the subject of fermented foods, micro flora and the cultural history of these food items. It is more interesting than reading about fermentation sounds- trust me! I am not attempting to advocate a particular diet, I just believe that this study illustrates once again how when we mess around too much with the food we consume it begins to mess with us! 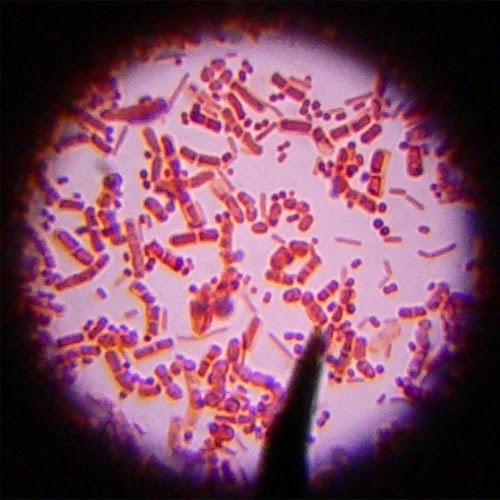 Although there are currently many health issues that can be scary for kids and adults (Ebola, Enterovirus) we need to understand and educate our children about good bacteria and microbes along with the bad. Precautions to prevent spreading germs are important, as are precautions to preserve good microbes. There are many educational materials illustrating the importance of our gut micro flora for children. Unfortunately, one theme in most of what I found were smiling faces on the microbes...no kids, microbes don't have faces...but once you get beyond that there is a lot to be learned! 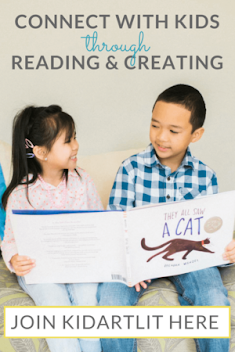 Here is an example of a video lesson put together by TED EDlessons, and several more can be found in the resources section below. Last year I had my students design logos for the imaginary "Invasive Eaters" club as a fun activity to wrap up a unit on adaptations and invasive species. We had read an article on eating invasives as a management technique and thought that it sounded like a funny and smart tactic. Turns out we were not the only ones interested in this idea. Special dinners are popping up around the country challenging chefs to create palatable dishes that include invasive species as ingredients. An invasive species is a plant or an animal that has been introduced to an environment and due to lack of predators or other factors to keep it in check it spreads, often causing damage to the native environment, human health or economy. Generally the spread of invasives is caused by good intentions gone wrong- we thought they could solve an ecological problem, we hoped to breed it with a similar species for advantageous traits and economic pay-off, we planted it for its ornamental value in gardens, etc. etc. Unfortunately, nature is too complex for us to predict the consequences of moving species around the globe. Despite our efforts to remedy the situation there are some examples of invasive species without a good method of eradication. Although eating invasive species is not going to solve the problem, it is a creative way to chip away at it. Recently the Society of Environmental Journalists in New Orleans challenged chefs to include an invasive species in their menu for one night. Each refused except for the intrepid Johnny Blancher of Ye Olde College Inn. He took the challenge on with gusto and created menu items featuring the nutria (a large invasive rodent), Formosan termites, tiger prawns, purslane (a leafy green), and wild boar. 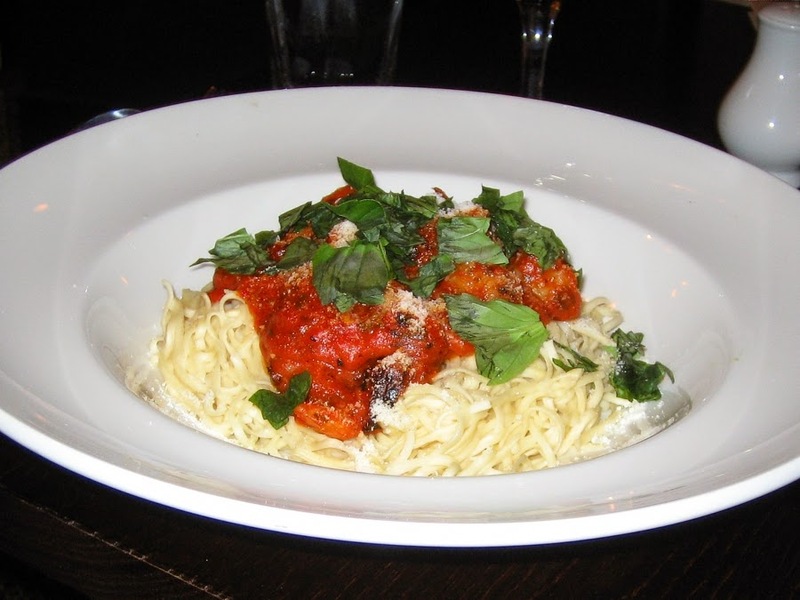 Although some ingredients sound formidable, Blancher rose to the occasion and pulled off the meal with great success. 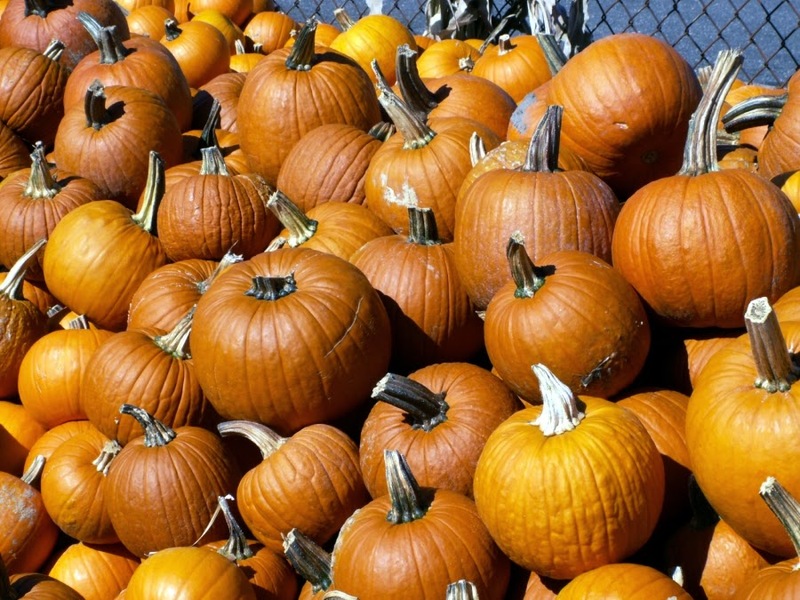 Another annual invasive-eating event is held in Oregon by the Institute of Applied Ecology. 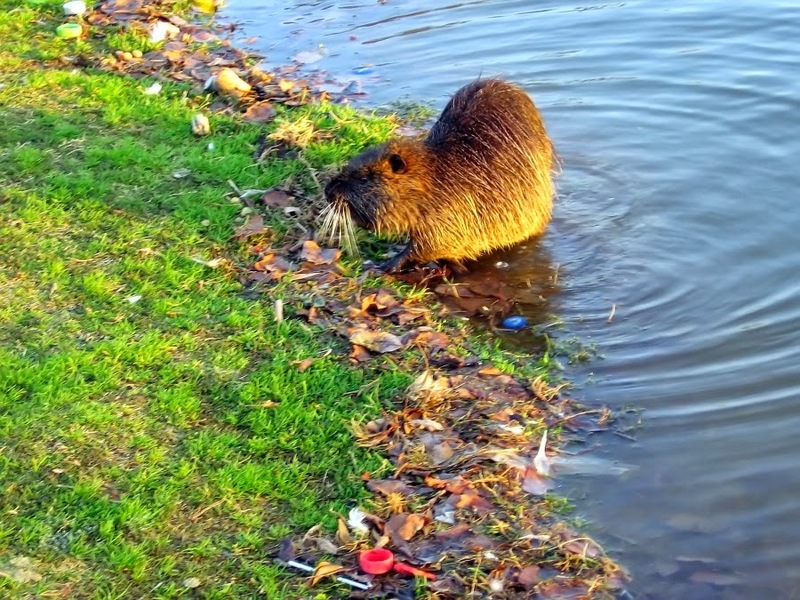 The "Eradication by Mastication" dinner features menu items such as wild boar sausage, buttermilk-fried bullfrog legs, deep fried nutria, Asian carp boulettes, and braised wild boar with Himalayan blackberry glaze. Cooking with invasives does not need to be limited to special event dinners with high end chefs- several groups are dedicated to educating others about the consumption of invasive species. Online resources such as Eat the Invaders and Invasivore offer up recipes, news items and biology of invaders for the public. Cookbooks for invasives such as the Lionfish Cookbook by REEF, an organization that works to preserve marine life through education and research, are now being published. The Lionfish is causing many headaches in the ocean, but may not be the best invasive species to begin with if you are interested in becoming an invasivore. It is easy to catch, but with it's venomous spiky fins, difficult to process. If you are someone who already enjoys foraging for wild edibles, then you might be up for the challenge of gathering and cooking up some invasive species. Although this is a unique and quirky method of eliminating some invasive species, it most likely won't be the end all be all solution to the invasive problem. Some are wary, within reason, that if we get a taste for particular invasives, then this might open the door to a high end restaurant market where the species are actually bred and farmed- which would only perpetuate the problem. There is also the difficulty of meat inspection and public health regulations that would make cooking and serving wild harvested food (particularly meat) a challenge. Despite these challenges, I think we can and should enjoy a meal or two featuring these organisms. 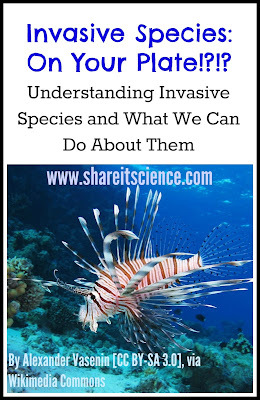 As long as we continue to come up with creative solutions to these issues I believe that we can at least educate to prevent future invasive species introductions, and maybe solve a few problems along the way! Science for Students: "Chef Puts Eco-Bullies on the Menu"
Voice of America: "'If You Can't Beat 'Em, Eat 'Em' Say Diners Noshing on Invasive Species"
It seems like this year is a good one for the oaks. The past few days I have literally heard acorns raining down in the forest around my yard, and they are littering walkways and sidewalks everywhere. I am sure many in my neck of the woods remember the exceptionally big "mast" year for acorns- 2010. That year it was a painful proposition to take a walk under an oak tree, they rained down for days. Mast is the word used for the reproductive part of woody plants, in other words, the seeds of trees and shrubs. There are soft masts and hard masts. Soft masts include tree buds, catkins and berries, whereas hard masts-you guessed it- are harder "fruits" such as acorns, hickory nuts and beech nuts. In some seasons there are more hard masts, like acorns, produced than others. It is a phenomena that scientists have difficulty predicting with great certainty, although there can be some predictable factors such as weather. Like all things in nature there are so many causes and interconnections that predicting a good mast crop year is a little tricky. These abundant years could happen two years in a row, or may have two to five years in-between. Weather may be a factor, however, since most acorns or nuts are on a two-year growth cycle, the weather that is advantageous for producing a larger quantity of seeds may occur in the year before we notice the seed production. As you can imagine, more acorns means good eating for herbivores such as chipmunks, squirrels, turkey and deer. Squirrels not only have a lot to eat, but they also help the tree to disperse its seeds. Gray squirrels bury their acorns in a variety of different places and then only recover some. These forgotten seeds often grow into saplings. In essence they are planting the seeds for the oaks. 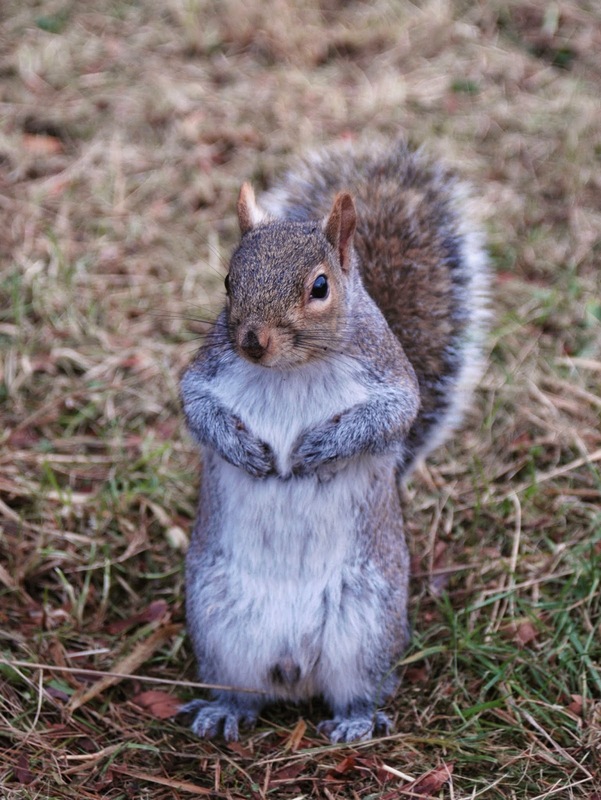 Gray squirrels are smarter than you might think when it comes to acorns. Scientists have found that the squirrels can differentiate the acorns from white oaks and the acorns from red oaks. The white oak seeds germinate very quickly, and therefore lose their nutritional value hastily. The squirrels eat these first, rather than store them for later. They prefer to store the red oak acorns to eat over the winter and spring. Even more incredibly, sometimes the squirrels will bite through the embryo of the white oak acorns, prohibiting them from sprouting. 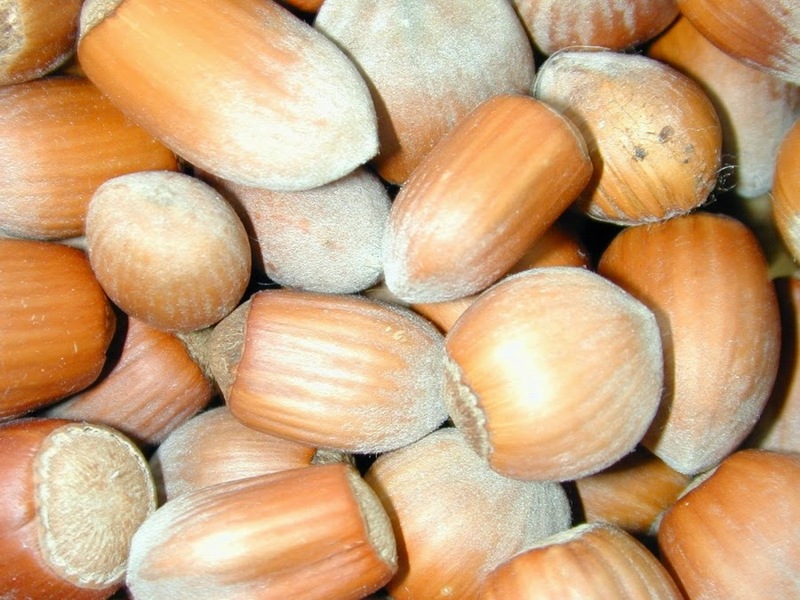 This makes the white oak acorns just as valuable to store as the red. The wonders of nature never cease to amaze- if only they could evolve the behavior to look both ways before crossing the road! Obviously, there are pros and cons for many natural phenomena, depending on your species and perspective. Scientists have linked larger Lyme disease carrying tick populations to years with small acorn crops. A good mast year in the northeast can lead to a boom in the population of white-footed mice, whereas a meager crop causes a big drop in the mouse population. White-footed mice are the preferred host for the black-footed tick which is very good at carrying and transmitting Lyme disease. When the population drops, the ticks are forced to find other hosts- including us. This was very clear after the huge mast crop in 2010. The mouse population sky-rocketed, then the following year the acorn crop was practically non-existent. The subsequent mouse population crash caused the potential for an influx of Lyme disease that year. Many believe that the tick population has only to do with the weather, but again, there are many factors at work in the complex natural world. Regardless of the larger food web implications of raining acorns, it's probably best to duck and cover this fall if you venture out under the oak trees- they come down pretty fast! Penguin Watch is a citizen science project that is using people power to help propel scientific research. Citizen science projects are a great way for scientists to cast a wider net and collect more information than they might be able to with their own resources. Almost as importantly, from my perspective, these projects allow kids, families, schools and individuals a chance to contribute to real-world science projects. We are all part of this world and we all deserve to question and understand it. The purpose of Penguin Watch is to identify penguins in the photographs being taken by 90 cameras set up by two study groups in Antarctica. The cameras are set up at locations identified as potential breeding grounds. Reviewing these photos for penguin activity is crucial to understanding what the population truly is and the activity of the birds at the breeding grounds. The project has amassed over 200,000 pictures, much more than a few researchers can realistically review. 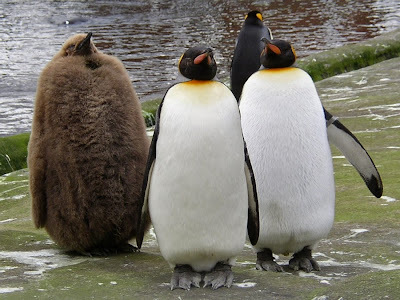 When you visit the Penguin Watch website you can learn how to identify several different species of penguins and their chicks. If you choose to participate, you can click penguins you identify and submit your results to the scientists. It is easy and fun; some of the pictures are empty landscapes, yet others have too many penguins to count, most are somewhere in between. Eventually the human generated data will help "train" computers to assist scientists in counting penguins too. 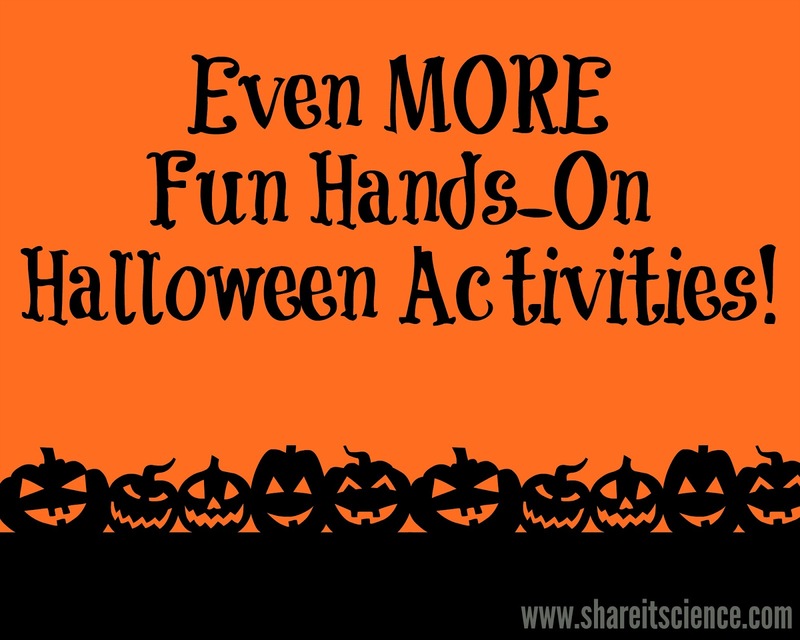 This would be a fun activity to do with your kids or in the classroom. 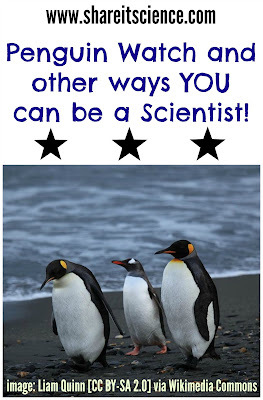 Penguin Watch is part of the Citizen Scientist Alliance's Zooniverse. The Zooniverse is a collection of citizen science projects on the internet ranging from Astronomy to Oceanography. There are projects here for any interest. Many feel like you are solving a puzzle, you identify, measure, decipher and just click to send it to a researcher. Much like a game of computer solitaire it gives your brain a break by working on something different -yet relevant- which is arguably more useful than beating solitaire...and just as addictive! Citizen science projects are certainly not limited to those that are completed on a computer. Many involve getting outdoors. Cornell has several citizen science projects ranging from counting birds at feeders to observing bird nests to mapping out your yard for potential habitat. Projects Feederwatch, Nestwatch and Yardmap are just a few of the projects that can be found on the Cornell Citizen Science Blog. If you enjoy trees and other plants, then Project BudBurst may be your cup of tea. Project BudBurst collects life cycle data on a variety of flowering plants to better understand our changing climate. Project BudBurst can be completed by adults or children. They offer a project geared towards children called "BudBurst Buddies". Project BudBurst also offers excellent professional development courses for teachers through the National Ecological Observatory Network (NEON) at very reasonable rates. I have implemented use of this program with students as young at second grade with great success. Another project introduced to me by a family that participated in it on their summer vacation is the Lost Lady Bug Project which teaches how to find, collect and photograph ladybugs to better observe shrinking native populations and growing introduced populations of ladybugs. If computer games are more your thing you can try Eyewire, or Fold-it. These evolved from some of the first computer network citizen science projects like SETI@home (Search for Extraterrestrial Intelligence) and Rosetta@home which both used the computing power of idle computers in homes and dorm rooms during the late 1990's and early 2000's. Eyewire is a game that is helping to map the brain by training people to identify and map neurons. Fold-it allows players to puzzle their way through the many possibilities of folding proteins and is making way for important research in medicine. Citizen science can be a fun and rewarding way to spend time on your own or with children to truly get involved in science. There are so many options out there for projects, they are definitely worth a look! Citizen Science Projects to Try! The second of four eclipses in a lunar eclipse "tetrad" will occur over the course of the wee hours of October 8th. This tetrad of eclipses is unique in that each will be visible from parts of North America. 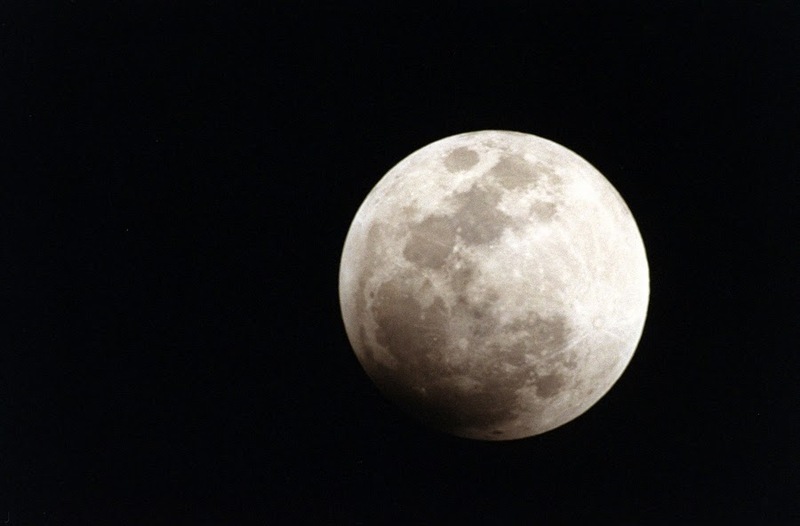 We experience a lunar eclipse when the Earth passes between the sun and the moon causing Earth's shadow to block the sunlight from reaching the moon. Often these events take place but due to the timing we may not be able to see them. This is the second of the four that will take place in 2014 and 2015. There are five stages to an eclipse that occur over the course of about three hours. The first is the penumbral stage, where the moon begins to enter the Earth's penumbra, or outer, lighter edges of shadow. Viewers might not notice changes in the moon at this point as the darkening is very slight. The second stage is the partial eclipse where the moon begins to enter the Earth's umbra, or the darker part of the shadow. The darkening will start on the moon's eastern side. The total eclipse is the third portion and this begins once the moon is directly in the darkest part of Earth's shadow, or umbra. The moon will glow red during the total eclipse due to sunlight. The moon moves back into a partial eclipse, and then finally back to the final penumbral stage as it moves out of Earth's shadow. Two factors will affect how dark the moon will look during the total eclipse portion: how deep into Earth's shadow the moon passes, and what the atmospheric conditions are at the time. For example, if there is a lot of dust in the atmosphere, then the moon will look darker. For those of us on the East Coast we will be able to see the total eclipse stage occur around 6:35 AM on October 8th. For a chart of the viewing times for other areas in North America, consult the link in the "read more" section below. It is not always possible to view astronomical happenings due to weather, obstructed views, light pollution and clouds. Luckily there are many good digital programs that model the night sky for us. One that could be particularly useful to teachers when having students observe and understand the phase changes of the moon is Stellarium. Stellarium is free, open source software that allows you to "view" the sky for any location and time. Although you won't be able to use it to experience the total lunar eclipse, you can observe the moon's phase changes in addition to seeing stars, planets, constellation charts, etc. from your own device. Stellarium software is even being used in some planetariums. Another free way to explore the moon is by using the moon option in Google Earth. Google Earth is useful for many educational purposes. You can explore the virtual moon globe and zoom into images of the craters and alien surface of our satellite. Although neither of these digital options is the same as heading outside with some binoculars on a clear night, they work well when there are obstacles for preventing you or your students from doing so. Happy sky-gazing! Although the GRAIL MoonKam mission is over, there are many fun activities to try here!